RREACH just wrapped up its 10th national GPA of 2017! Praise God for the national GPA team and Dallas GPA grads who have organized this special training for more than 200 pastors in Romania, Vanuatu, Senegal, Guinea, St. Vincent and the Grenadines, Sierra Leone, Honduras, Ivory Coast, Argentina and Gabon. Pray for each pastor to remain connected with his national GPA brothers and to grow in preaching God’s Word. Pray as the team works toward many more national GPAs for this year and coming years. A special GPA venture began over the weekend and GPA Brazil is set to start this week. Please ask the Lord to bring the right 25 attendees to each. Ask His favor and protection on all involved, in every detail. Pray, too, for His provision of resources. With more than double the number of national GPAs being held each year now, we need more than double the funding to support them. Dr. Richard is on the go the rest of the month, the Lord willing, with speaking engagements in California, Africa and in between. Please intercede for his safety and health, and for his ready use as an instrument in the hands of his Maker. 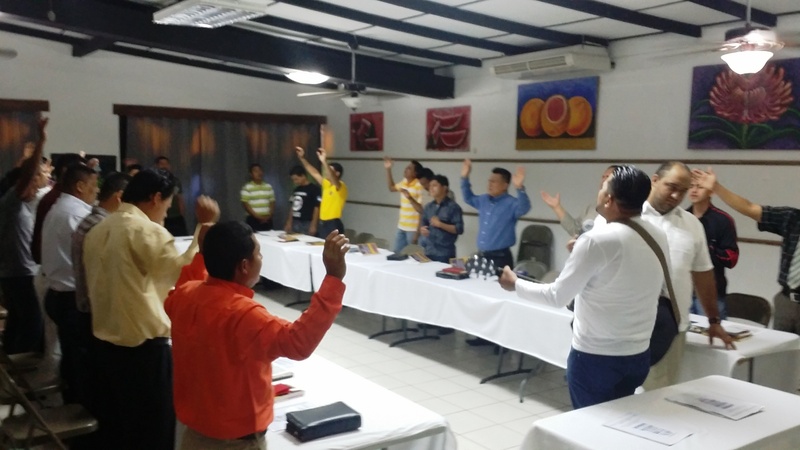 GPA Nicaragua—another country with great needs—goes into its first full day today! Please ask the Lord’s blessing on the pastoral delegates, master coaches and organizers, as well as their families while they are away. Pray for these young leaders to be connected, united and strengthened in a special way for an entire lifetime. Thirty-three candidates have now been accepted to this year’s Dallas GPA; eleven have U.S. visas—one just granted yesterday. The process of getting U.S. visas this year has been unusually difficult. Residents of some countries are finding it difficult to enter even with U.S. visas. RREACH takes great care to abide by national policies, and every single Dallas GPA delegate has returned, as promised, to his home country. We ask you to pray for the Lord’s favor on the four pastors who have yet to apply for their visas, as well as those who will be reapplying. We appreciate your intercession on behalf of all who live in difficult areas. Dr. Richard met an important GProCongress program deadline last week. Thank you for lifting him up! Please continue to ask the Lord to provide a Congress program director. More key meetings, some video-recording projects and preparation for upcoming speaking engagements are on his schedule this week. Pray for these, too.